How the experience of migration has informed the work of writers in Greater Manchester from 1960 to the present. Devolving English Literature: Introducing North-West authors to the region’s secondary school syllabuses builds on the research conducted for the AHRC-funded ‘Moving Manchester’ project (2006-10). The aim of the new project is to introduce writers from Greater Manchester and Lancashire to local secondary schools in the region with the further objective of getting their work featured on the Language / Literature syllabus. Given the constraints of existing GCSE and A-Level syllabuses, the project will target Years 7-9, providing teachers with resources (course pack, website, on-line extracts) that translate the research findings of ‘Moving Manchester’ into a form appropriate to the age group. The project partner will be ‘Commonword’, the Manchester-based literature development organisation, whose team will advise on the selection of the authors and how best to deploy them on school visits (an activity it has supported in the past). Read the proposal in full. A collection on academic essays on the work of Manchester writer, Qaisra Sharaz, is shortly to be published by Sarup Publishers. Qaisra worked closely with the Moving Manchester project team during the life of the project and both Lynne Pearce and Corinne Fowler have been delighted to provide endorsements for this timely publication. The volume of essays, The Holy and the Unholy: Critical Essays on the Art and Craft of Qaisra Shahraz’s Fiction, has been edited by A.R Kidwai and Mohammad Asim Siddiqui, Department of English, Aligarh Muslim University, Aligarh, India. Dr. Munira T., Women’s College, Aligarh Muslim University, India spoke to Mohammad Asim Siddiqui, about various aspects of this book: read the interview published to promote The Holy and the Unholy, from the journal Solidarity (Pakistan). On 17th March 2011, Tariq Mehmood Ali, one of the two PhD students attached to the project, successfully defended his viva. His PhD centered on a new novel, The Last Act of the Terrorist, which has since been placed with a literary agent. In September, Tariq will take up a new post as Lecturer in Creative Writing at the American University of Beirut. Rajeev Balasubramanyam, one of the PhD students attached to the Moving Manchester project, has had the novel he wrote as part of his submission published by Harper Collins India. The Dreamer is published by HarperCollins. For the past two years Rajeev has been a post-doctoral fellow at the University of Hong Kong. Click here to read more about Rajeev's new novel. Literature Northwest filmed a set of Manchester readings recently for YouTube, and some of them featured readings from Migration Stories (Crocus Books, March 2010). See our page featuring four films, with readings by Muli Amaye, Kim Wiltshire, Maya Choudry and Sue Stern. 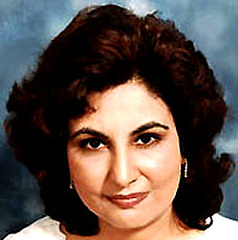 Qaisra Shahraz, whose work features in the Moving Manchester Writers' Gallery, will be performing at this year's Ottawa Writers Festival on 24th October 2009. She will be part of a session called 'The Writing Life: Spotlight on New Islamic Fiction' - an afternoon of exciting new fiction from the Islamic diaspora featuring acclaimed voices from around the world. With Qaisra Shahraz (Pakistan/UK) Laleh Khadivi (Iran/USA) and Boualem Sansal (Algeria). The project’s ‘Writing Manchester’ exhibition (Manchester Central Library 7th September – 17th October 2009) was officially launched last Friday (2nd October). Lynne Pearce introduced the event, offering thanks to the two curators of the exhibition (Corinne Fowler and Kate Horsley), the library and its staff, as well as Arts Council England and the AHRC for their financial support. She also noted that the purpose of the event was not only to launch the exhibition but also to honour the life and work of Manchester poet, Dike Omeje, whose photograph features on the exhibition poster. Dike, one of Manchester’s most successful performance and ‘off-the-page’ poets of recent times, died of cancer in 2007 at the age of thirty-five. Dike’s mother, sisters and nieces attended the event, and Peter Kalu and Shirley May (long-time friends and colleagues of the writer) paid tribute not only to the quality of his work but also the warmth and generosity of his personality. Both these speakers made clear that Dike’s name lives on as a lasting inspiration within Manchester’s writing community. Corinne Fowler also gave a short talk on the research that informed the exhibition and, later, she and Kate Horsley led a guided tour of the exhibition. Manchester Central Library is open from 9am-5pm daily (including Saturdays) and the exhibition is located on the first floor near to the on-line catalogue. The exhibition is open to the general public and all are welcome. For further details of the writers and organisations featured in the exhibition please see the ‘Writing Manchester’ webpage. This exhibition and launch will be the last public events to be hosted by the ‘Moving Manchester’ project, and the project team felt it especially fitting that the event was held in the very same room (the Committee Room of Central Library) where the project itself was launched in June 2006 (see earlier news item). The project team would like to thank all their colleagues in Manchester for their loyal support over the past four years and, in particular, artist Michael Gutteridge and those members of the project’s Management Advisory Group who were there at the first event – and the last! The academic conference takes place at Lancaster Universityfrom Wednesday 9 September - Friday 11 September. It will be headlined by fifteen, high profile, internationally acclaimed scholars from across a wide range of Arts and Social Science disciplines. The conference will include an evening event with both readings and live art in performance. Visit our new conference website. A Creative Arts day will be held on Saturday 12 September at the Whitworth Gallery, Manchester. This event will feature readings, talks and performances by well-known writers and artists as well as an exhibition of the work of artists, photographers, writing groups and community arts organisations involved with issues of migration. These will include the exhibition 'Towards a Sense of Belonging' and Mieke Bal's video installations. Manchester Central Library has kindly agreed to host the Writing Manchester Exhibition, a six-week exhibition on the theme of literature and migration in Manchester to coincide with our conference. This exhibition will centre on the archives of the various writing groups and community publishers located in the city. It will also showcase the work of many of the writers associated with the project. Visit our pages on the Whitworth Gallery and Manchester Public Library Exhibitions. Corinne Fowler and Graham Mort from the Moving Manchester team are co-editors of a special issue of the transcultural writing journal 'Moving Worlds'. The theme of the issue is 'Region / Writing / Home: Relocating Black, Migrant and Diasporic Writing in Britain' and the journal features creative writing and academic essays from some of the UK's leading writers and critics. The poet John Siddique is the winner of the £1,000 Moving Manchester creative writing commission. He has written a poem sequence focusing on Piccadilly, in the heart of Manchester. His work addresses the concept of a multiculturally imagined city through the voices of its citizens. John's poems now appear on our website and he will perform them at the Moving Manchester conference in September. 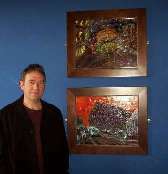 See John on our Writers Gallery. On 28 June 2009 Rajeev Balasubramanyam, one of the PhD students attached to the 'Moving Manchester' project, successfully defended his thesis and has been awarded his degree subject to minor corrections. His external examiners were Dr James Procter (University of Newcastle-upon-Tyne) and Dr Sukhdev Sandhu (New York University), and his internal examiner was Dr George Green, from Creative Writing at Lancaster. Rajeev's PhD submission was longer than most, comprising both his latest novel, 'The Dreamer' and an 80,000-word dissertation on 'The Evolution of "The Compound" in Male-Authored Black British Writing'. Rajeev has since been awarded a prestigious two-year post-doctoral Scholarship at the University of Hong Kong where he will be researching 'The Global Novel' and beginning work on a new novel of his own. Applications are invited for a part-time MPhil/PhD funded studentship in the School of Journalism, Media and Communication at the University of Central Lancashire to carry out research on Memorials, Memorialisation, Visual Arts and the Legacy of the Transatlantic Slave Trade. Corinne Fowler, post-doctoral researcher on the 'Moving Manchester' project, was awarded the Faculty of Arts and Social Sciences Staff Prize for Research. 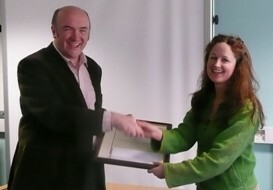 With over 20 departments and several hundred academic staff in the Faculty, this must be regarded as a major achievement and the Project Team (Lynne Pearce, Robert Crawshaw, Graham Mort and Jo McVicker) are delighted that all Corinne's hard work over the past three and a half years has been formally recognised. Well done, Corinne! To celebrate nearly four years of research on the Manchester writing scene, the team are currently planning a cluster of events designed to bring the project's achievements to the attention of the international academic / creative arts community. These events will centre on our major international conference entitled Glocal Imaginaries: Writing / Migration / Place which will be held at Lancaster University and the Whitworth Art Gallery, Manchester, between 9-12 September 2009. Between 200-300 delegates are expected to attend the conference which has been advertised widely throughout the world and is headlined by fifteen, high profile internationally acclaimed scholars from across a wide range of Arts and Social Science disciplines. Saturday's event, to be held at the Whitworth Gallery, Manchester, will feature readings, talks and performances by a number of well-known writers and artists as well as an exhibition of the work of artists, photographers, writing groups and community arts' organisations involved with issues of migration. These will include the Charnwood Trust exhibition 'Towards a Sense of Belonging' and Mieke Bal's video installations. This event will be open to the general public and aims to bring together conference delegates and the wider, non-academic community. The conference will also host two evening events - one at Lancaster University (Thursday 10 September), the other at a city centre location in Manchester (Saturday 12 September). The Lancaster event will feature both readings and live art in performance , while the Manchester event will be headlined by Jackie Kay and include the premiere of the Moving Manchester conference commission, won by John Siddique. Music will be provided by the Congolese band Les Elus. Both these events will be open to the general public as well as conference delegates. In addition, Manchester Central Library has kindly agreed to host a six-week exhibition on the theme of literature and migration in Manchester to coincide with the conference. This exhibition will centre on the archives of the various writing groups and community publishers located in the city (for example, Commonword, Gatehouse, The Manchester Irish Writers Group) which have been crucial in the support and development of diasporic writing in Manchester since the 1970s. It will also showcase the work of many of the writers associated with the project via its own Writers Gallery. This exhibition will also be used to promote the forthcoming Commonword publication, Migration Stories, which is co-sponsored by the project and which includes the writings of many of the writers with whom we have worked. 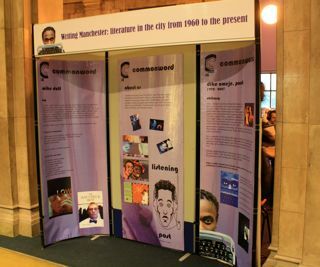 In terms of the legacy of the project, the location of this exhibition at the Manchester Central Library will also help to promote one of its key outputs - namely, our electronic catalogue of over 300 Manchester-based authors and publications - which will constitute an important academic and community resource for many years to come. In the meantime, the project team are continuing to work on their academic publications, including a special issue of the journal Moving Worlds (to be published in time for the conference) and a co-authored academic study which it is hoped will be published by Manchester University Press. (left to right - Lynne Pearce, Shamshad Khan, Jacqueline Roy). Lynne was joined at the Leicester conference by Shamshad Khan, who performed excerpts from Megalomaniac and some of her new work and by Jackie Roy,who read from The Fat Lady Sings. Our project researcher, Corinne, has now returned to work from maternity leave and baby Rafael is installed in the university creche - looking somewhat different from his previous photo! (see January entry). Manchester National Year of Reading celebrates the best of independent publishing with Salt Publishers at the Central Library, Manchester on Thursday 22 May 2008, at 1 pm in the Committee Room, 2nd Floor. For more information, please contact Libby Tempest on 0161 234 1317. After her very successful visit to Lancaster University last spring, Shamshad has agreed to return to Lancaster to perform again on Tuesday 18 March at 10 am in the Faraday Lecture Theatre. Shamshad's poetry is now taught on the Part 1 English course at Lancaster but her performance is open to all. Corinne Fowler, the Researcher on the Moving Manchester Project, gave birth to baby Rafael Tomas on 22 January. Congratulations to Corinne and partner Jairo! 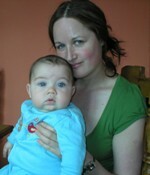 Corinne is now taking well-deserved maternity leave and hopes to return to work on the project in June. 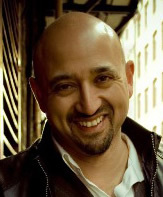 Manchester author Vijay Medtia has been shortlisted for the Glen Dimplex New Writers Awards 2007. With a total prize fund of €45,000, the awards, made in association with the Dublin-based Irish Writers' Centre, offer unprecedented support and exposure for emerging writers in a range of genres. 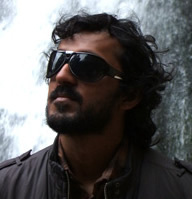 The judging panel selected his novel The House of Subadar ( Arcadia , 2007) as one of a short list of six in the Fiction category. Awards will be made to the best first book published in the last year in Ireland and the UK by an author within the five categories of Fiction, Poetry, Children's Book, Biography/Non-fiction and for the best first book published in any genre in the Irish language. The Glen Dimplex New Writer of the Year 2007 will be chosen from the five category winners. Each category winner will receive a prize of €5,000. There will also be an overall award for the Glen Dimplex New Writer of the Year with a prize of €20,000. The Chairman of the judging panel is David Goodhart, the founder and editor of Prospect magazine, the London-based current affairs monthly and the author of several books and pamphlets. The other judges are Michael Longley, Dermot Healy, Maire Cruise O'Brien, Kevin Crossley-Holland, Kerry Hardie, James Ryan, Christine McKenna, Philip Cummings and last years' overall winner Alice Hogge. The announcement of category winners and Glen Dimplex New Writer of the Year 2007 will be made at a special ceremony in November at the Dublin City Gallery. Corinne Fowler attended this conference held at the University of Birmingham. Download full conference report. Critic, writer and novelist David Dabydeen was the main speaker at this all-day event, the last in the Trans-Scriptions seminar series (2006-07), which has brought together creative writers and academics to explore issues of writing, culture and location. Trans-Scriptions is part of a widening panorama of research projects that are focused in regions as geographically and culturally diverse as the UK and Africa. The Open Day also inaugurated the Centre for Transcultural Writing and Research and showcased the work done on such related projects as Crossing Borders, Radiophonics and Moving Manchester. In March 2007, poet and performance artist, Shamshad Khan, captivated Part I English Students at Lancaster University with a performance of a selection of poems from her collection, Megalomaniac (Salt Press) published earlier in the year. Over 250 students are enrolled on this course and the lecture theatre was full on the morning of Shamshad's visit. Shamshad's opening performance, which combined a newly improvised version of one of her poems with a music CD in which she also features, was an immediate wake-up call to everyone present, and in the course of the next hour she took us on a real roller-coaster of emotion (most notably, 'Hard Cut', which centres on her father's death) and intellectual challenge. Extracts from the title poem, 'Megalomaniac' were especially impressive in this last regard, with the performance element adding further layers of 'meaning' entirely to the words as they sit on the page. Although Khan was performing here as a 'solo' artist what the live performance alerted the audience to was the 'many voices' and subject-positions that inhabit all the poems, thus making clear how fully inadequate a label such as 'Asian female poet' is in this case. Corinne Fowler attended the Second Annual Huntley Conference, held at the London Metropolitan Archives. For a full conference report, click here. We are sorry to report the death of Dike Omeje, one of Manchester's leading poets. His death will be a huge loss to the Manchester literary scene and we send our condolences to his family and friends. Click here to read about Dike's life and career. To celebrate the launch of the new Suitcase Press anthology, Hair, featured writers are touring, performing a show that has been inspired by the anthology and which features poetry, song and monologue that makes for a joyous and inspiring evening. The show is suitable for all ages and backgrounds and its structure allows an open mike session featuring local writers reading their own work. To find out more contact Suitcase Press or Cultureword. BrothaTalk is a collective of five Asian and African Caribbean male poets. Their unique performance format sees them interact with one another and with the audience. The spoken word has never been more resonant as these guys take on a range of subjects that has you clutching your heart and then splitting your sides. Their poems, songs and sketches cover subjects from relationships, the mating game, spirituality and politics in tones and styles ranging from the ribald to the divine. Shortly before Christmas, Suandi animated a final year group at Lancaster University following a course entitled European Writers at the Margins, co-ordinated by Robert Crawshaw. The set text was Zadie Smith's White Teeth, but this class was Suandi's own. To the delight of the students, she made it clear from the outset that she felt nowhere near the margins and from the way she talked you could see why. She told them about her background - a number of them had read The Story of M, Suandi's moving performance poem about her mother - and explained what it felt like to make your way as a black writer/performer in modern day Britain against a background dominated by massive bestsellers like Smith's first novel. She challenged the use by academics and politicians of terms such as 'ethnic' and 'minority', told the group about the role of the Black Arts Alliance in Manchester and said what she thought of 'multiculturalism' as a concept. She was nevertheless impressed by the varied cultural backgrounds of the students, who came from all over the world, and asked them some colourful questions about who they were and where they came from. After some initial shyness, they responded in kind and went away having confronted some truths which would remain with them for the rest of their lives. Lynne Pearce was recently interviewed about the project for the Where I Live - Manchester feature on the BBC's website. Corinne Fowler presented a paper at this one-day conference at the University of Warwick. (Image shows One Hundred Years of Fiction by Stephen Knight, plenary speaker at the conference). Qaisra's first novel, The Holy Woman,was published in Indonesian this month under the title of Perempuan Suci. She attended the Ubud Writers and Readers Festival in Bali under the auspices of the British Council, where the novel was officially launched. She also travelled to Bandung and Jakarta to promote the novel. Zahid was recently featured in an article in the Manchester Evening News about his forthcoming novel The Curry Mile, due to be launched in November by Manchester-based publishers Suitcase Press. The Curry Mile is Zahid's first novel and tells the story of the relationship between Sorayah and her restauranteur father. The Mile, which stretches along Wilmslow Road in Rusholme was the inspiration for the story - "It's the raw energy of the place. It's such a crossroads of different cultures ... It is very much a Manc novel." Zahid points out that "It's not just Asians any more. It's one of those places that defines Manchester, a bit like The Hacienda used to." Although the Curry Mile has been the subject of several documentaries, the novel is believed to be the first work of fiction set there. Corinne Fowler attended this conference at the Institute of English Studies, University of London. Corinne Fowler and Graham Mort jointly presented a paper at this conference held at Edinburgh University from 15-18 August 2006. As well as delineating their methodology in relation to key constituencies of writers identified so far, their presentation discussed the ethical and political dilemmas encountered by the research team in attempting to involve the wider public in their research. They outlined the process of negotiation and re-configuration necessitated by a critical engagement with creative writers, communities, independent publishers and agencies that have played a role in promoting this writing. Project researcher, Corinne Fowler recently presented a paper on the Project at this prestigious conference held at the University of Carthage, Tunis, Tunisia from 3-6 July. This AHRC-funded project (led by a team of academics at Lancaster University) was given its official launch at the Central Library in Greater Manchester on 14 June 2006. The purpose of the event was to thank all those who have given the project their help and support thus far, to report on the progress that has been made since January (in particular, with regards to the electronic catalogue), and to advertise our aims and objectives as widely as possible. Those attending included: members of the project's 'Management Advisory Group' who have been invaluable in helping us relate the academic interests of the project to the concerns of Manchester's writing and publishing communities; members of Arts Council North-West; members of the Diversity Exchange Network; members of 'Commonword' and 'Gatehouse' (two long-established community publishers in Manchester); various publishers and academics from throughout the UK; representatives from Central Library and the City's art galleries; and, finally but most importantly, many individual writers working in Manchester today. Following a welcome from Professor Lynne Pearce as project co-ordinator, there followed a presentation on the 'e-catalogue' by researcher Corinne Fowler and two short addresses by Avril Heffernan, Literature Officer for Arts Council North-West and Pete Kalu, director of 'Cultureword' (a subsidiary of 'Commonword' focusing on the work of Black, Asian and Chinese writers). Both these speakers expressed a hope that the project would constitute a lasting resource for all those invested in Manchester 's diverse writing communities. Pete Kalu then introduced three contemporary writers from Greater Manchester who provided us with five-minute readings from their work. These were novelists Muli Amaye and Zahid Hussain, and the performance poet, Shamshad Khan. All three readings spoke directly to the project's focus on migration - either as a personal experience or as a consequence of belonging to one of Manchester 's many diasporic communities - and were enthusiastically received. We hope to feature extracts from these readings on the project website in the near future. The event also featured the first exhibition of a painting that project-artist, Michael Gutteridge, had produced especially for the event, featuring the Midland Hotel and the Central Library. Read Michael describing the paintings in his own words. During the summer vacation the project team will begin their first substantive research on the texts and writers featured on the e-catalogue. Lynne Pearce will be focusing on the changing profile of migration in Manchester during the period 1985-1997; Robert Crawshaw will pursue his interest in 'post-memory' via a selection of Manchester authors including W.G.Sebald; and Corinne Fowler will continue her research into both the politics of publishing and the preoccupations of contemporary Asian women writers. Professor Lynne Pearce, Director of the Moving Manchester project, and Corinne Fowler, Project Researcher, jointly presented a paper to the conference. The aim of the conference was to investigate literary representations of the North of England and to re-assess stereotypes of the grim North and beautiful South.